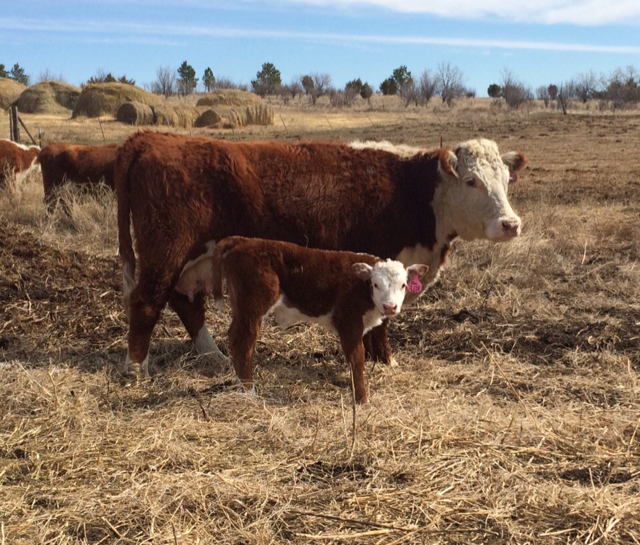 This one was born on March 20, interesting how quickly young calves mimic their mothers and start eating hay or grazing. Steven, you know better than to not post a sire and dam! 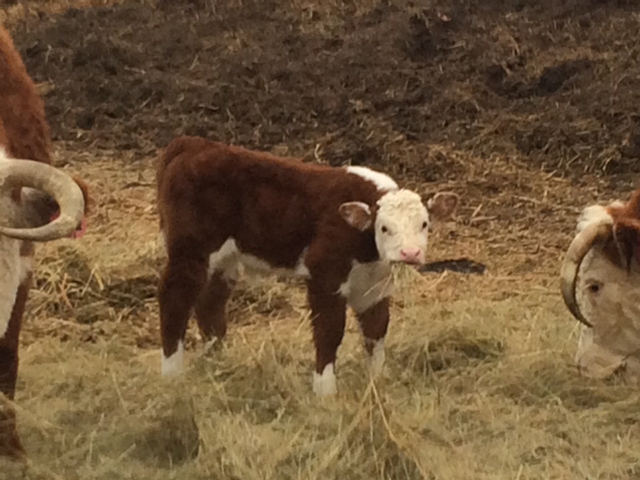 To me that calf represents the Herefords I believe in. Was just checking to see if you were paying attention or not! I'm glad that you like the calf. 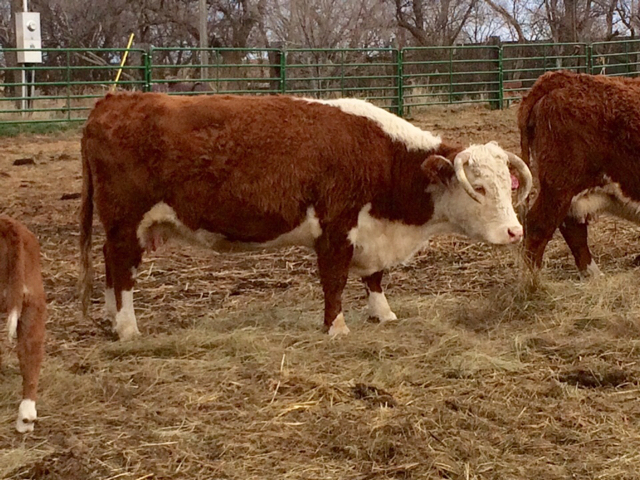 and PDH PONTOTOC LASS 2223Z (43300469) , one of Dad's cows. I will try to get a picture of her too. 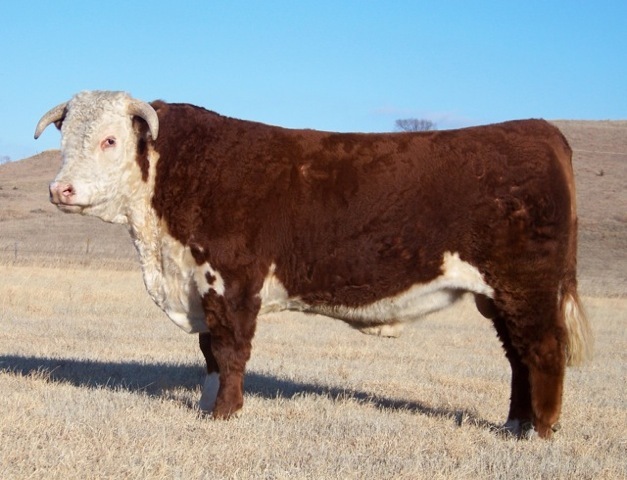 PDH PONTOTOC LASS 2223Z (43300469) [/a], one of Dad's cows. I will try to get a picture of her too. Best that I could get. She wasn’t much interested in pictures. 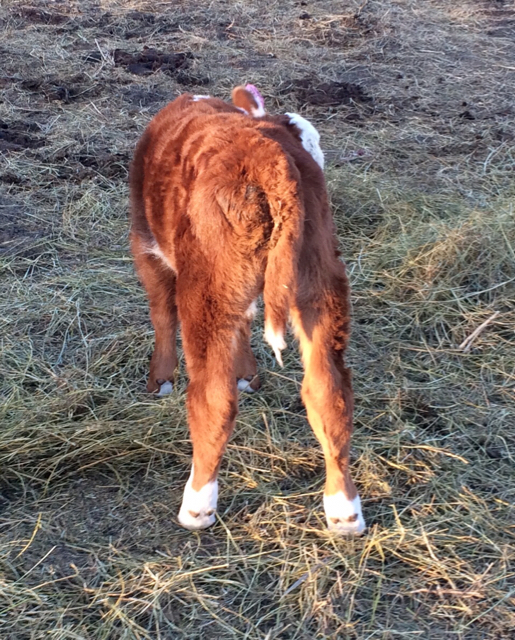 Taking good pictures of small calves can be difficult, but this may be the best Doc bull calf that we have had to date. The dam, #43205262 weighed 1360lbs after calving, and is line bred to a cow that I bought as a heifer, and lived until she was 17 years old. 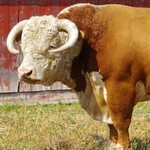 In addition, her first calf lived until she was 15 years old. 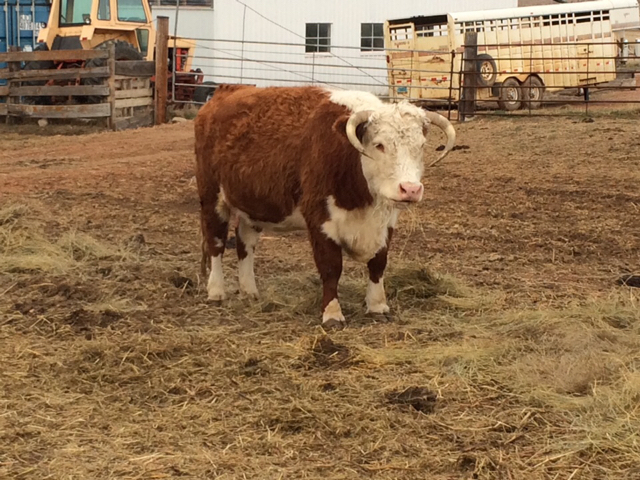 These two are this cow’s maternal grandmother and great grandmother. The calf is four days old, born April 4, and weighed 88.5 lbs. at birth.